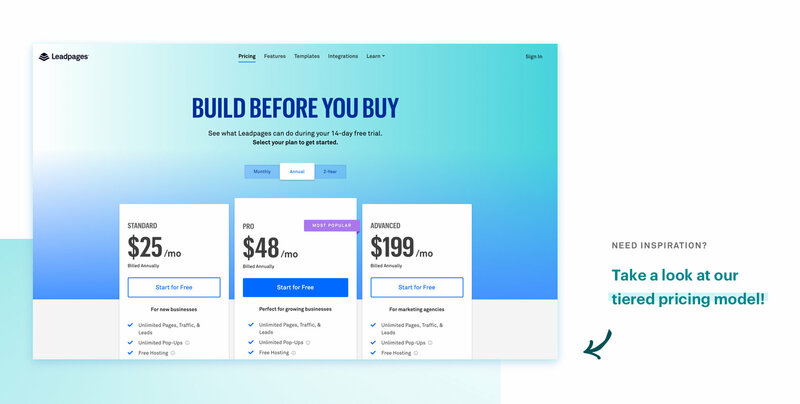 Editor’s Note: The following article on pricing strategies for digital products was penned by Ashley Lipman, Content marketing specialist and Leadpages Guest Blogger. Interested in writing for the Leadpages blog? Hit us with your best shot! For entrepreneurs and small business owners who offer professional services—from nutrition coaches to graphic designers—real freedom comes when their revenue streams are no longer tied to the number of hours put in behind a desk or in front of clients. That means packaging their expertise in a new way: in the form of digital (information-based) products. For the nutrition coach, it’s an ebook full of meal-prep recipes for the busy mom. For the graphic designer, it’s a video-based online course that teaches other small businesses how to establish their brand’s visual identity. While the digital products are diverse, the challenge is one and the same: how (on earth) do you set the right price? For fear of turning people away, entrepreneurs typically err on the side of low-balling their prices (and paying for it in the long term). But on the other side of the spectrum: how much is too much? If you’ve found yourself wondering (or Googling) how to price a product or service, this article is for you. We’ll cover some of the best pricing strategies for small businesses and help you get the strongest possible return for your efforts online. There is a wide range of digital products that you can sell online as a part of your overall business strategy: from ebooks and guides to software and business resources. 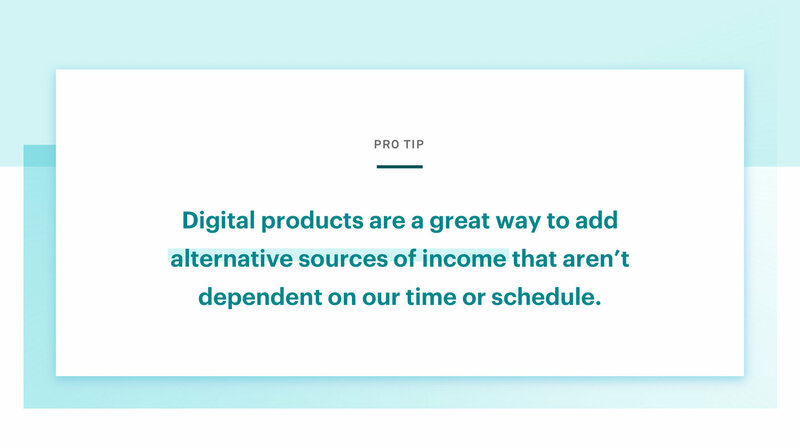 For those with service-based businesses, digital products are a great way to add alternative sources of income that aren’t dependent on our time or schedule. That being said, the challenge with pricing digital products is that they don’t have the same tangibility of a physical product. Production costs are often minimal and the inventory is often limitless. While profit margins can be excellent, that also makes pricing guidelines a great deal more ambiguous. It can be challenging to not undersell yourself, especially when you fear to price yourself out of the market. But pricing isn’t just about covering your costs of production, it also plays a significant part in your overall brand. Are you targeting high-performing, successful professionals who have a substantial income or newcomers to the industry who have limited resources available? How is your price point likely to be perceived by your target audience? It’s important to think of the price of a single digital product, but also how that price fits with your overall business model. You may not consider giving a product away for free as a part of your pricing strategy, but it’s an important piece. Giving someone a product in return for their email address is frequently used to start a sales funnel process that will build a rapport and ultimately encourage your potential customers to purchase your services. When choosing which digital product to offer for free, think of something that has significant value but was created at a low cost. 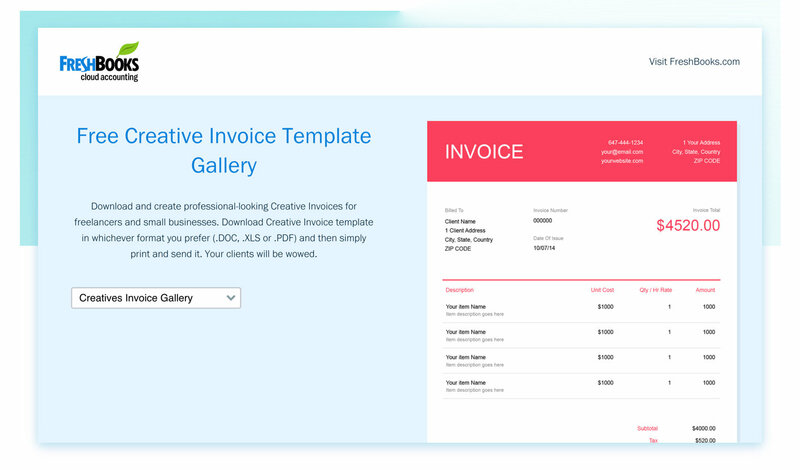 For a marketing coach, this free digital product could be a creative invoice like FreshBooks. For a real estate agent, it could be an ultimate moving checklist and timeline planner. Think about something that ties into your business and will showcase the value you can bring when someone is ready to pay for it. The purpose of a free lead magnet is to attract qualified leads to your email list. The challenge is converting this list into paying customers. Even with a strong sales funnel, there will be some people on your list who never become paying customers and simply take advantage of your free offering. The ‘pay what you can’ strategy is another one that raises some eyebrows. Rather than attaching a set price to an offering, you ask your customers to pay what they can to use your digital product. The idea here is that rather than focusing on one niche demographic, you’re able to get some business from various groups. Graphic designer Cerries Mooney tried this strategy with one of her signature products, changing the price from $99 to pay what you can. This strategy earned her over $95 thousand in the past three years, with minimal advertising efforts. She was able to improve her conversions and showcase the value of her services, which made it easier for her customers to make a larger investment in her mentoring and design programs. 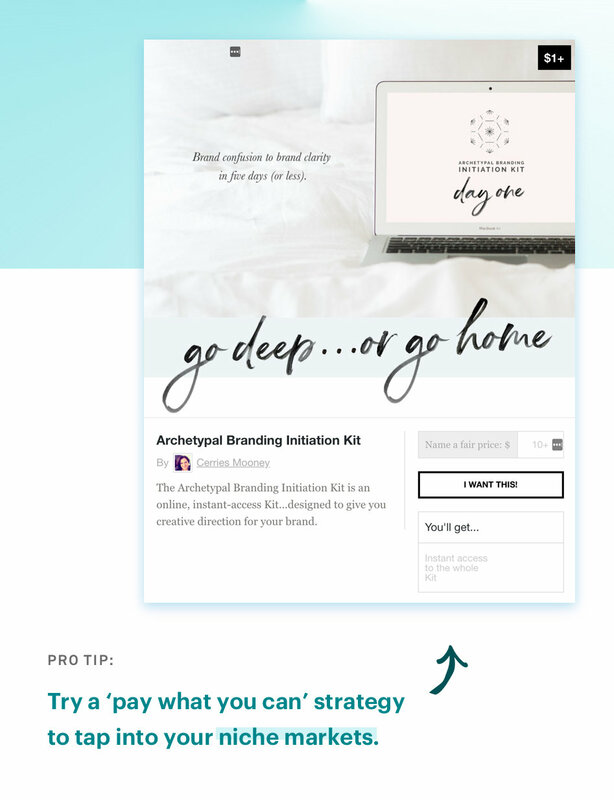 There are a few challenges with using the pay what you can strategy. You’ll have to have strong brand awareness to showcase the overall value of your offerings to potential customers. This often stems from months of initial marketing or community building. Additionally, this model can make it hard to budget or forecast your earnings because what your customers pay is so variable. If, however, you decide to go this route, be sure to list the monetary value of the digital product, as that will subtly encourage people to pay the desired price or something close to it. Another approach to covering various income levels, without the flexibility of a pay what you can strategy, is to offer tiered pricing. You’ll often see this strategy used in conjunction with free lead magnets, offering a basic service for free to communicate the value then charging for an upgrade. With tiered pricing, you offer various pricing levels that cover different business needs and add more value as the price increases. In theory, this allows you to develop one core product that could work for a small business as well as a large enterprise. For example, a life coach could offer a monthly subscription to their personal development articles and exercises for other coaches to use. A higher tier might offer those things as well as a monthly call to help direct the customer’s business development strategy. All of this leads into purchasing a one-on-one mentoring service with the life coach. For entrepreneurs offering professional services (such a coach or consultant), a general rule of thumb is that the higher you go up the pricing tiers, the more 1:1 access you get. Because time is your most valuable and finite resource, it makes sense that you would charge a premium for it. Ali the Happy VA is a Virtual Assistant who uses a free lead magnet to attract clientele while using tiered pricing for her service offerings. As the package price increases, her hourly rate decreases, creating additional value for the client’s investment. To be successful with tiered pricing, consider what extras you can offer and what discounts you can afford to provide at different tiers. Enrollment periods create a sense of scarcity, which as a strong psychological selling tactic. When you have finite enrollment periods, customers are only able to purchase your digital product during a select few days. You may opt to have this be an annual release or update it quarterly to target new people in your sales funnel. Not only does an enrollment period create scarcity, but it also gives you a better opportunity to build hype and manage your time, focusing on advertising your digital product for a set period. For example, Marie Forleo’s B-School is a world-renowned program that has helped entrepreneurs around the world refine their marketing and brand strategy, outline pricing, and take their business to the next level. The program requires a significant investment and enrollment only opens once per year. Using this strategy, Marie has created a profitable offering while using the idea of scarcity to make her sales a roaring success year after year. When you use the enrollment pricing strategy, you’re able to charge more than you would if the product was available at all times and concentrate your advertising and marketing spend on a single enrollment event. This ties into the fundamentals of supply and demand in economics. Tripewires are a selling tactic that use a combination of psychological marketing tactics to generate an immediate sale from a sale or lead magnet. Gina Horkey of Horkey Handbook has seen monumental success with this method since adding it to her lead magnets. After downloading a free lead magnet, customers are redirected to a page that offers them a sale on one of her regularly priced items. The sale price expires within minutes of the initial download. Consider adding a reasonably priced tripwire to your lead magnets or a value-added tripwire to upsell your customers. The latter strategy works really well in conjunction with tiered pricing. The main challenge with implementing a tripwire is the technological side of things. You may require an experienced web developer to help you set this feature up on your site. Don’t feel bad if your first attempt at pricing your digital product doesn’t quite meet your goals—that’s to be expected. Being an entrepreneur means learning from your mistakes and adapting to the ever-changing market. Always remember the marketing mix or 4 Ps– price, product, place, and promotion. If you’ve determined that your product, the place or market you’re targeting, and your promotion strategy are correct, then pricing may be to blame for less than stellar sales. Your product isn’t selling, despite having a strong sales funnel. Check your analytics and see where customers are disengaging from the process. Your price may be too high. Your product is selling at unprecedented rates, and customers always tell you they can’t believe how cheap your product is. In that case, you should charge more! You’re unable to keep up. If you have affordable digital products that lead into a service offering, and you find yourself overbooked, you’re not charging enough. Your business is scaling up. At this point, it’s time to re-address your pricing and ensure it fits with your overall brand strategy. You’re not reaching your sales goals. This could be an indicator that your product is priced either too high or too low, depending on the situation. 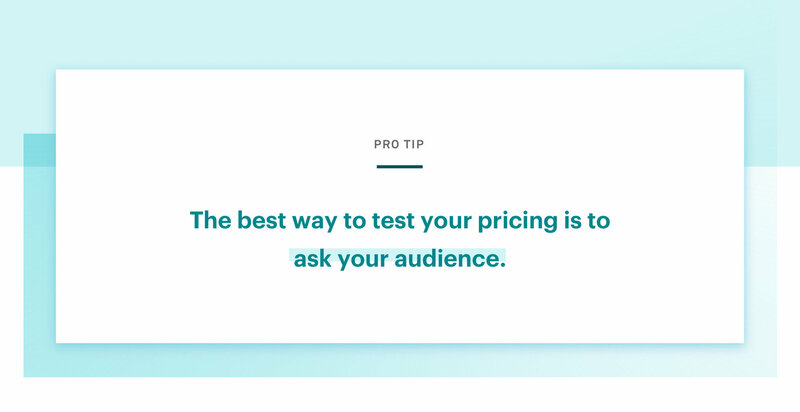 The best way to test your pricing is to ask your audience. If you find that you have a low conversion rate in your sales funnel, ask them why they aren’t buying the product. If they say the price is too high, consider your options: you can either lower your price or add more value to the product offering. Test the adjustment, monitor your conversions, and see if you can change their minds. Another way to test your pricing is to compare it to the competition. Look for other entrepreneurs that are similar to you in offerings and caliber, and see what they charge. Be sure to get a large sample size for comparison– you never know who is having the same struggle you are. Your pricing should be on par with the competition, perhaps a little higher or lower depending on your marketing strategy. The key to pricing your digital product is to know your worth, then add tax. Charge your clients what it cost for you to make the product, evaluating your value per hour, and add a margin. Take the time to understand your audience and know your competition, so you don’t price yourself out of the market. When you understand your market, choose a pricing strategy that fits with your business and implement it. While using a combination of these strategies can be beneficial, you should choose one to start and evaluate its effectiveness. Apply the testing methods listed above and determine your next steps based on the results. In conclusion, pricing your digital products doesn’t need to be a difficult task. It does, however, need to be carefully considered and approached with critical, strategic thinking. Learn from your experience and use it to be better and more successful as your business grows. What pricing strategies have worked well for your business? What do you know now that you wish you would have known during your first year as an entrepreneur?